Do I need to lose weight in old age? The answer to this question must be affirmative. Maintaining a healthy weight is a worthy goal at any age. Of course, the motivation for weight correction in old years will be completely different than in his youth, but still quite strong. The aesthetic side of the question here is far from the most important, and here’s why. People over the age of 60 are most often and most of all concerned with the question of their own state of health and well-being. Why do you need to lose weight in 60+? Unfortunately, after 55-60 years, the health of most of us leaves much to be desired because there are already accumulated chronic diseases. With age, the production of key hormones in the body slows down and for this reason, the metabolism slows down. Therefore, your weight loss efforts will be limited. But overweight at this age only worsens the situation and may aggravate existing problems. In old age, as in childhood, adherence to diet is considered the basis of the foundations. To control the metabolism, you need to eat at the same set time. This will allow you to adjust the work of the stomach and digestive system, which will become accustomed to active work at certain hours. You need to eat 5-6 times a day: 3 main meals and 2-3 snacks between them. The principle of “eating more, but less” becomes first. If we consider that with age your metabolism slows down steadily, too high-calorie food or constant overeating will definitely lead to weight gain. If an elderly person eats too high-calorie food, then the total caloric content of his food will have to be changed gradually so that it does not become a shock to the body. When the caloric intake is brought to a conditional norm – 2000 kcal per day, it is desirable to further reduce the calorie content by about 200-400 kcal per day. Such an approach will allow you to avoid excess calories in slow metabolism. And even with minor physical exertion, it helps to create a calorie deficit that is comfortable for losing weight. Adhere to strict diets and mono-diets for those over 60 is absolutely impossible. Their organisms have age-related changes and therefore it makes no sense to limit the intake of essential vitamins and minerals. Balancing nutrition for people of age is another enduring dogma. The diet of older people should be thought out so that it contains all the necessary vitamins, minerals and trace elements, of course, taking into account age-related features. For example, in adulthood, the need for calcium and phosphorus increases, as bones become more fragile and need additional support. The same can be said about potassium, magnesium and B vitamins that support the work of the cardiovascular and nervous systems. This will allow for the prevention of arrhythmias, hypertension, heart attacks, strokes, neuralgia, and other diseases. In adulthood, you need to reduce the amount of animal fat, preferring vegetable fats and polyunsaturated fatty acids. Besides, animal fats contribute to the growth of the fat mass, directly affecting body weight. Fats also increase the level of cholesterol in the blood, and this already adversely affects the work of the heart and blood vessels. Completely refuse fat in the diet cannot be – again, remember the balance of the diet, including, and the ratio of proteins, fats, and carbohydrates. If you go on a fat-free diet, then immediately begin problems with skin and hormones. And in old age, the skin loses its elasticity, and the situation with the hormonal system is not the best. Therefore, the ideal option is to give preference to lean meats (chicken fillet, turkey, veal, rabbit, quail) and fish. Go to low-fat dairy and fermented milk products, replace hard cheese with rennet, limit the consumption of egg yolks, remove fatty sour cream and mayonnaise from the diet. The need for proper fats can be replenished with seafood, nuts and cold-pressed vegetable oils. The high content of omega-3 fatty acids in the products described will also help reduce blood cholesterol levels and contribute to natural weight loss. Protein products are rather difficult to digest by the stomach. However, it is difficult to lose weight without them, because proteins allow you to increase muscle mass by reducing fat mass. Of course, in old age, it is difficult to get the relief body of an athletic build, but the muscles, in any case, should not be flabby. First, sufficient muscle mass allows you to speed up the metabolism, which in old age is very necessary to control body weight. Secondly, too flabby muscles can lead to frequent muscle cramps, neuralgia, and pinching of nerves. Therefore, protein products in old age are also needed. In connection with reduced physical activity at the age of “over 60”, it is enough to consume 0.8–1 g of protein per kilogram of body weight. Preference should be given to light proteins (lean meat, fish, eggs, dairy products), including those of vegetable origin (cereals, legumes, nuts). If at the age of 60 you will eat simple carbohydrates, it will not only be overweight but also there will be a risk of developing diabetes. That is why the number of flour products, sweets, potatoes, and sugar should be limited. However, it is necessary to focus on complex carbohydrates: whole grain cereals, whole grain bread, pasta made from durum wheat, vegetables, fruits, and berries. Complex carbohydrates allow you not to feel hunger for a long time, and this helps to control the amount of food consumed. In addition, the majority of complex carbohydrates contain beneficial plant fiber and dietary fiber, which promote normal digestion and prevent the development of constipation. This is a common problem in older people. A large number of fruits and vegetables in the diet of the elderly will allow you to eat hearty and not high in calories. With age, people begin to feel thirst worse, which often leads to a reduction in water consumption. But the lack of fluid in the body prevents to fight with excess weight, prevents the natural elimination of toxins and also significantly worsens the condition of the skin, depriving it of elasticity. Wrinkles on the face and flabbiness of the skin all over the body are also consequences of a lack of fluid. 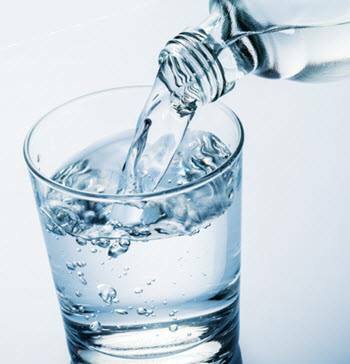 Therefore, people in old age should not forget to drink 1.5 liters of water per day. And watch the salt balance as the excess salt in the diet will lead to fluid retention and edema, and this is fraught with increased pressure. For hypertensive patients, it is very important to avoid puffiness and fluid retention. No wonder many drugs for hypertension have a diuretic effect. We are talking about strong meat and fish broth, sauces, smoked meats, pickles, spices, and alcohol. All this in the diet of an elderly person should not be, well, or at least all this should be very limited. Described products whet the appetite and promote overeating. In addition, they are difficult to digest by our stomach, which can affect its work and the work of the pancreas. Reduce your intake of salt and sugar. After age 60 salt and sugar should be limited. Excess salt, as mentioned above, leads to edema and creates real problems for hypertensive patients and people with sore joints. And an excessive passion for sugar can cause a violation of carbohydrate metabolism, which is fraught with the development of diabetes. In addition, sugar is a very high-calorie product that contributes to the rapid set of body weight. While losing weight, older people should preferably eliminate sugar by replacing it with high-quality sugar substitutes. As for salt, it can be replaced with dietary salt, in which there is no sodium chloride, but there are potassium and magnesium useful for the cardiovascular system. True, people with severe renal insufficiency and an excess of potassium in the body cannot use such a substitute for ordinary table salt. – Salt the food after cooking, not during the cooking or frying process. Older people need to spend fasting days with care and not be too frequent with them. Ideally, you should consult a nutritionist, who will tell you how and when to do it, before carrying out fasting days. Be that as it may, remember that the elderly body is already weakened and needs a full range of nutrients, vitamins, and minerals, allowing to maintain the work of the organs in a normal state. Therefore, often and for a long time to deprive the body of some nutrients is simply irrational. The benefits of such fasting days will be less than harm. 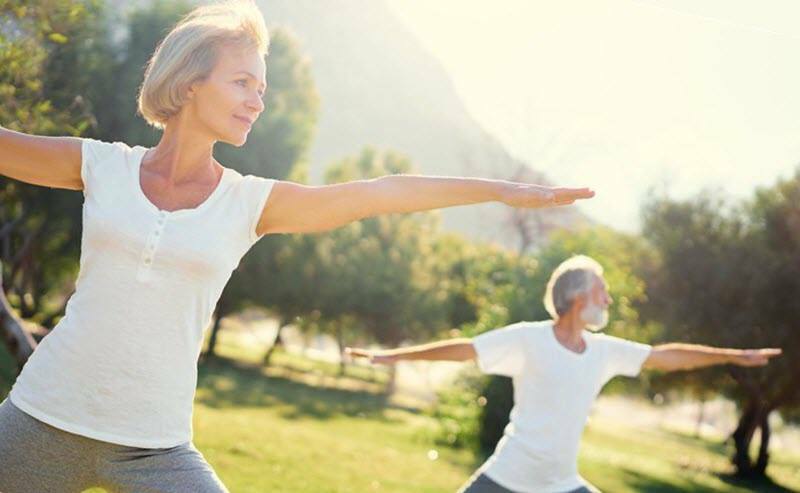 Over the age of 60, it is important to keep muscles in shape and give the joints a feasible load. It is known that muscle mass decreases with age and slows down metabolism. 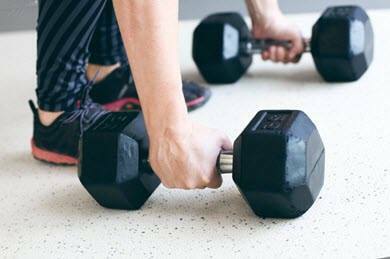 But moderate strength training such as weight lifting can minimize muscle loss. If this kind of load was not practiced before, you first need to work with a small weight, slowly increasing the intensity of training and the weight of the shells, in order to avoid injuries. But the program should not be too easy. As soon as you can complete 10-12 repetitions with 2-2.5 kg dumbbells, you can go to 3-4 kg, then 5-6 kg and so on. To understand that the load corresponds to the capabilities of the body, a simple test will help. If the required number of repetitions is difficult to perform, but despite the tension, you can do it, then the weight and pace are chosen correctly.